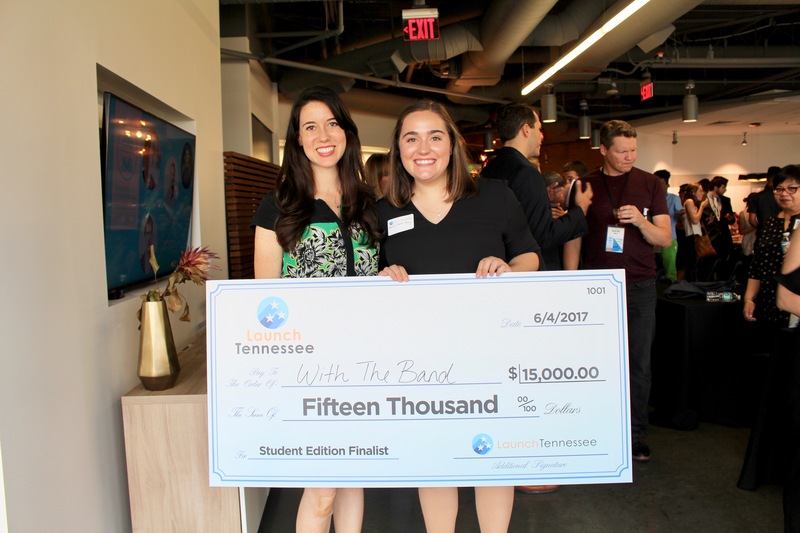 Belmont student and entrepreneurship major Sara Beth Perry recently participated in LaunchTN’s 36|86 Student Pitch Competition and won in her category, Technology Enabled, earning her $15,000. With the Band, Perry’s startup, is a platform that allows devoted fans, new artists, songwriters and established artists the opportunity to engage and connect in a collaborative way. Belmont was also represented by two other teams including Annabelle Bright and Jacob Kissamiss, Bloom Brightly Paper Co., in the Consumer Goods/Services category and Alex Wieseler, a current MBA student, who pitched PATH EX in the Commercialized Technology category and won. Last fall, Director of the Center for Entrepreneurship Elizabeth Gortmaker applied to become a LaunchTN University Venture Challenge partner and received the largest partnership amount from the organization which sponsored Belmont’s recent Business Plan Competition. As a UVC partner, the winners from Belmont’s competition could apply to pitch at 36|86, LaunchTN’s premiere technology event. With the Band and Bloom Brightly Paper Co. were both chosen to pitch at the event.